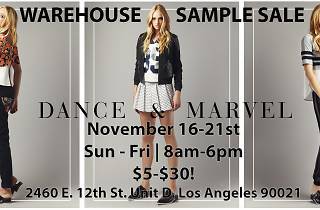 Before kicking off the holiday season, build your wardrobe with contemporary youthful looks at Dance and Marvel’s upcoming sample sale. With prices ranging from only $5-$35, let's just say you won’t be walking away empty handed. 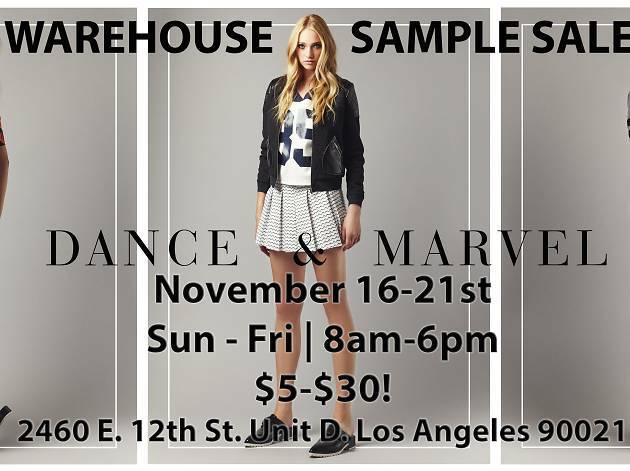 Stop by the wallet-friendly warehouse sale located at 2460 E. 12th St, Unit D, Los Angeles. I bought a $300 leather jacket for $30!! must go! !